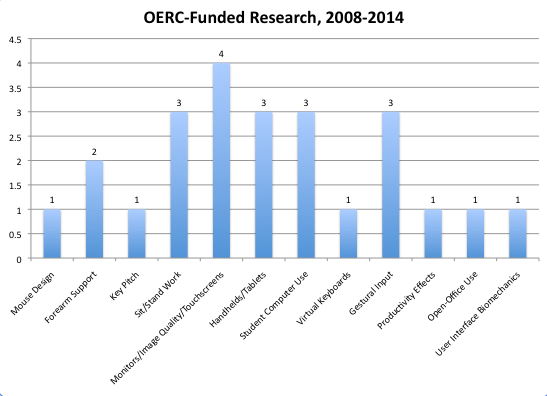 Through its unique approach to funding, the OERC leverages its ability to fund scientific studies, literature searches, and research symposia to identify and fill gaps in the ergonomics knowledge base. These activities address a variety of topics, which include but are not limited to input device design, effectiveness of MSD intervention programs, visual ergonomics, challenges in portable computing, effectiveness in training, computer workstation design, psychosocial and cognitive factors in MSD etiology, physiology and improvements to research methodologies. In order to support education and information sharing regarding findings from research that it has sponsored, the OERC encourages its funded researchers to publish their findings in peer-reviewed journals. The activities supported by the OERC have added significantly to the body of knowledge on the association between office and other similar work and musculoskeletal problems. 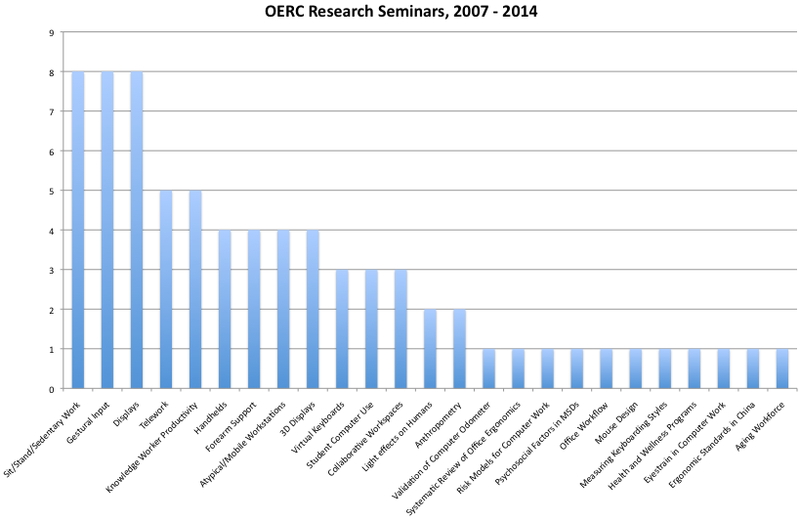 For an archival sampling of projects previously funded by OERC, click on this link. The images below can be enlarged when clicked on.